Does your family eat enough fruits and vegetables? I know mine doesn't. We work hard to incorporate healthy options at every meal but still find it difficult to fit in the recommended portion of fruits and veggies each day. Enter Juice Plus®. These vitamins are a fantastic way to make up for those days your toddler throws a fit at mealtime or you grab a fast-food meal on the go. My daughter LOVES the Juice Plus®+ Chewable Child Vitamins, and I love that she is getting whole food based nutrition to help her stay healthy and pro-actively build her immune system. 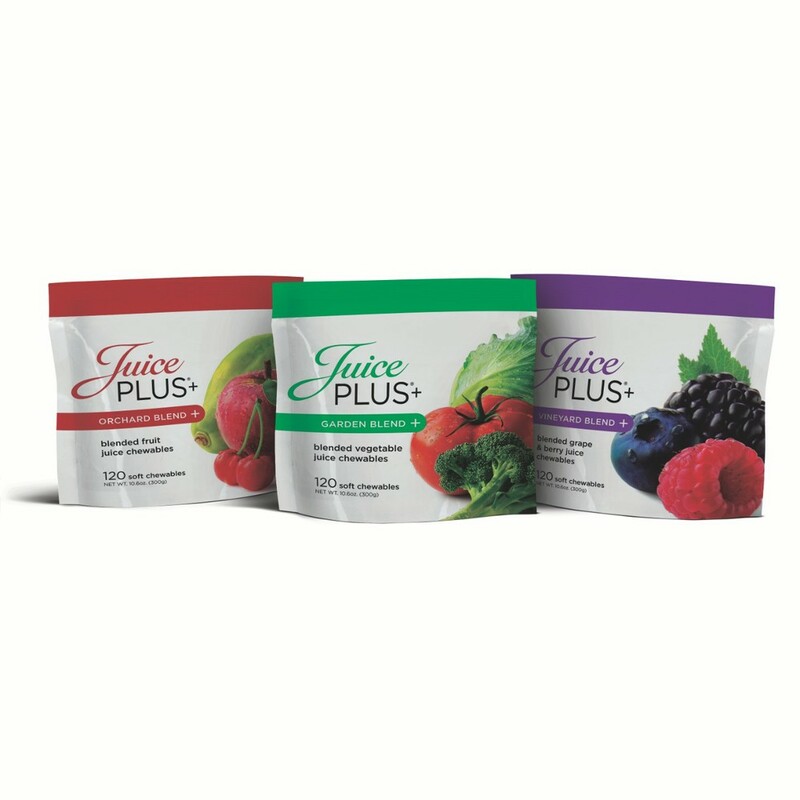 Juice Plus® also incorporate 30 fruits, vegetables, and grains into capsule form to make sure I'm getting the same great nutrition. Our pediatrician first recommended the JP+ brand, and I decided to try it after a string of doctor visits and gross noses at our house. We have been so pleased with the positive changes, and an added bonus is that our toddler LOVES the taste of the JP+ chewables. "Chewables deliver added whole food based nutrition from 20 different fruits, vegetables, and grains in a tasty, soft chewable form." Click here for more info on JP+!